Named after the magnificent river that meanders through the region, Goulburn is famous for its superb produce that feeds so many Australians and showcases the nation’s abundance overseas. Its fertile soils and pleasant climate create more than quality fruit and vegetables. They also provide the ideal treechange – a place where families can flourish. The communities of Goulburn are vibrant and progressive, benefactors of Melbourne’s northern growth corridor and the ever-evolving transport route to Sydney. There is plenty of industry and employment momentum in agriculture and processing, dairy, cattle, sheep, and grain production. There are also ample job options in electricity, gas, water and waste services, healthcare and social assistance, manufacturing, tourism, transport, retail, trades and professional services. 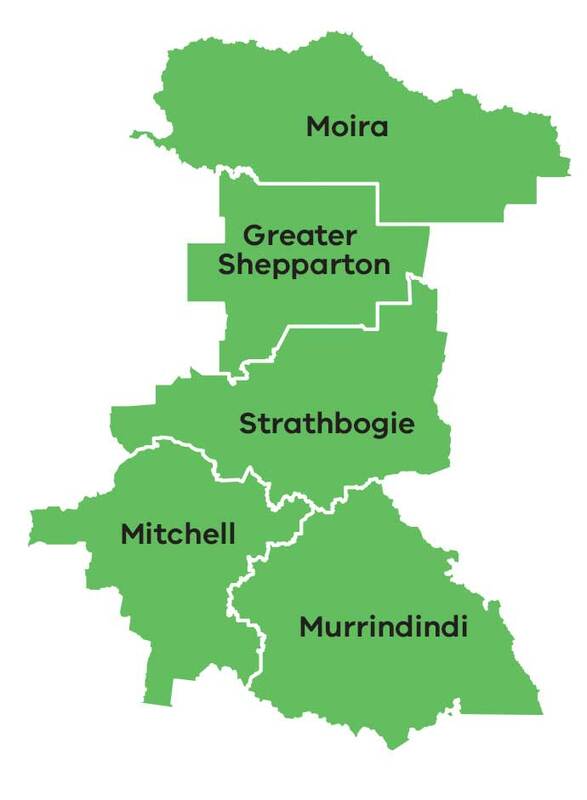 The Goulburn sub-region comprises the five municipalities of Greater Shepparton, Mitchell, Moira, Murrindindi and Strathbogie Shires. Shepparton, Mooroopna, and Yarrawonga have culturally diverse populations, including a large Indigenous population. Shepparton, the largest city in Hume Region, is the primary location for tertiary, health, cultural and higher education services. The southern area of Goulburn has the largest growth rate of all the Hume municipalities due to peri-urban development associated with its proximity to the northern and eastern suburbs of Melbourne and rural amenity. Recently announced changes to the Melbourne urban growth boundary will result in a significant population growth and associated demand for services particularly in Mitchell Shire. Flood plains of the Murray, Goulburn and Ovens rivers provide fertile agricultural land, desirable tourist locations and an important habitat for native species and ecosystems. The area is of national significance for dairying, horticultural production and secondary processing, with a strong rural economy based on irrigated and dryland agriculture. Local investment of $2 billion is occurring through the Northern Victoria Foodbowl Irrigation Modernisation Project to secure water savings and drive industry efficiency into a new era of competitiveness. While there are a number of larger towns such as Yea, Seymour, Wallan and Kilmore, as well as strong agricultural and timber industries, many residents are employed in metropolitan Melbourne and commute. Parts of this Goulburn region, particularly in Murrindindi Shire, were devastated in 2009 by the Victorian Black Saturday bushfires and are now undergoing rebuilding and recovery. The Hume Regional Growth Plan is one of eight regional growth plans across Victoria. It provides a broad direction for regional land use and development as well as high level planning frameworks and the means to implement the strategic land use and infrastructure directions that are set out in the Regional Strategic Plans.